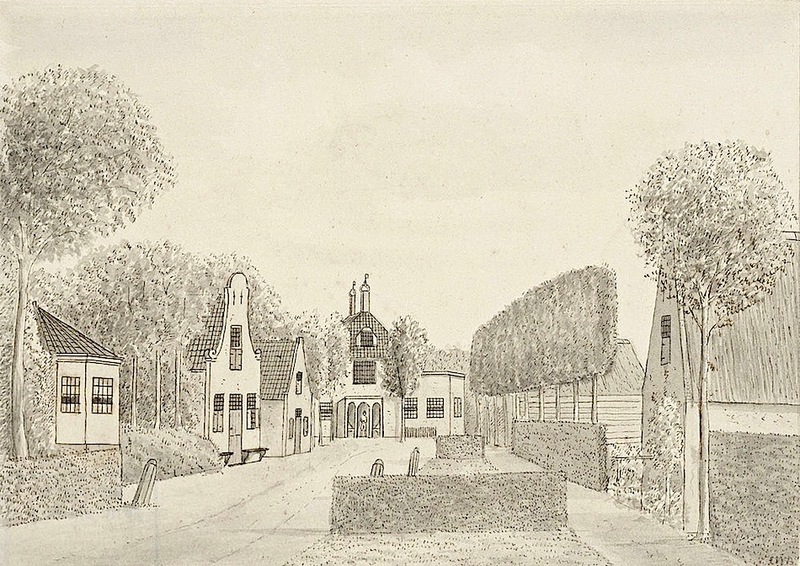 “Heijlo, 1789,” the Straatweg (main street), Heiloo, Netherlands, ca. 1900, by C.W. Bruinvis, via Regionaal Archief Alkmaar Commons on flickr. This so sweet. Though the way the buildings on the left peek out makes me think of fake movie fronts. I thought it was sweet too. I like the pair of benches attached to the building on the left. And I would love to be able to see the garden behind the pleached trees on the right.